One language, one country and one researcher has become 10 languages, over 30 countries and more than 40 researchers. From a focus on the dance floor and an unapologetic focus on drug harms, we now ask questions with the broader understanding that drugs fill every crevice of culture and society, more often enriching rather than detracting from life. 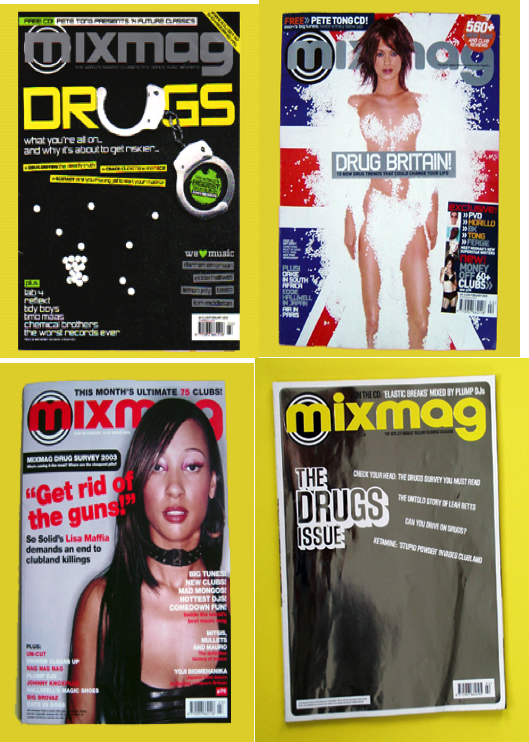 I started Global Drug Survey years after I ran the first Mixmag survey in 1999. Fifteen years had passed. I had changed. My early bias focused on drug related harm and was spawned by a life as a medical doctor and psychiatrist spent looking after those for whom drugs no longer represented fun, but salvation from a past (and more often than not, a future) that diminished hope and aspiration and led to premature death and despair for individuals, families and their communities. As I grew up, I realised the need to better understand the reality of drug use for the hidden majority and to do what I could to help people who choose to use drugs to do so with the minimum risk of harm and transition into dependence. I am not sure if I set up GDS to redress a balance in my own life or simply to allow me to work with a group of great people who want to help those who choose to use drugs, stay happy and healthy. It doesn’t matter. Setting up GDS has been one of the best decisions in my life. GDS remains a limited company. I funded it myself from its inception. The usual model of funding research involves partnerships with government or industry associates. It also involves a large amount of time preparing applications that compete for increasingly scarce resources. It’s at this point we would lose our freedom and autonomy. Our model is different and has been challenging for some people to accept. By funding the survey as a limited company, we need to generate money to create our free resources and fund the surveys, and we do that by selling products such as data reports, digital health-tools to deliver screening and brief intervention, and online or face-to-face training or drug education resources (link to highway code, one too many etc GDS page). This is a different way of doing research, but we believe it is a better way because autonomy is paramount when messaging around drug issues. We can talk about drug law reform or drug harm reduction without looking over our shoulders and wondering whether we will have our funding and lifelines cut off. We can be bold where so many research institutes dependent on government external funders cannot. The superlative trifecta of working with people I like, trust and respect keeps GDS autonomous and has led me to meet and collaborate with some of the best people I know. I am so pleased I met them and that they are now GDS. GDS in 2016 owes much to the current Core Research Team (link to CRT page) of Dr. Monica Barratt, Dr. Jason Ferris, Dr. Larissa Maier. They are fab! Our Academic Network (link to Academic Network page) produce a huge number of research papers to help nudge all of us in the direction of evidence, tolerance and understanding. If you’re reading this and thinking you might like to find out more about working with us, please know we are always open for collaborations with other researchers/ people with other data on drug use to create the most realistic, comprehensive pictures. GDS is still a young organisation. In 5 short years we will hold an unparalleled database of drug use patterns. By 2020 our aim is to have our annual survey translated into 20 languages with over half a million responses each year. It won’t matter what the drug laws are or what the drug is that you take. GDS will be there asking questions, listening and learning; then sharing what we find with you. We understand the pleasure and fun drugs can bring and we hope our work keeps you and those you care about, informed and safe. Why not try out our free online survey called One Too Many?